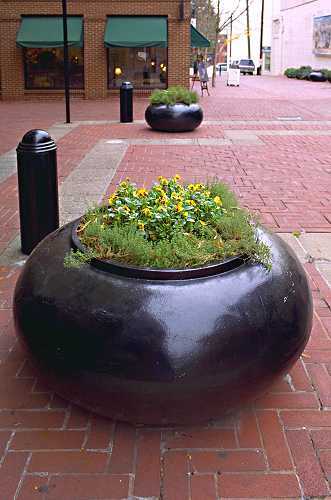 The Parks and Grounds Division maintains about 60 flowerpots and numerous trees on the City's historic Downtown Mall. 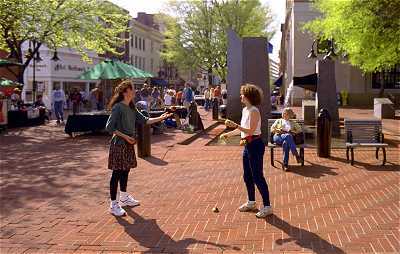 The pedestrian Downtown Mall was created in the 1970s to revitalize the City's downtown area. 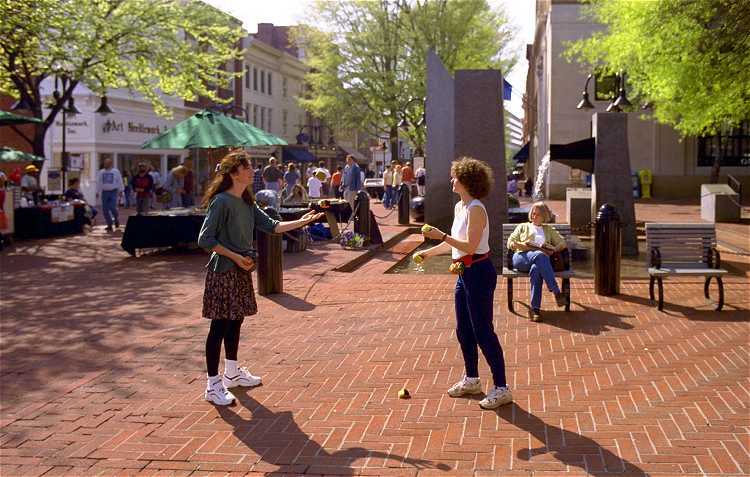 With numerous shops, restaurants, offices, art galleries, street vendors, a cinema complex, the Downtown Recreation Center, an ice skate park and a hotel/convention center, the Downtown Mall is a lively place for business and fun. 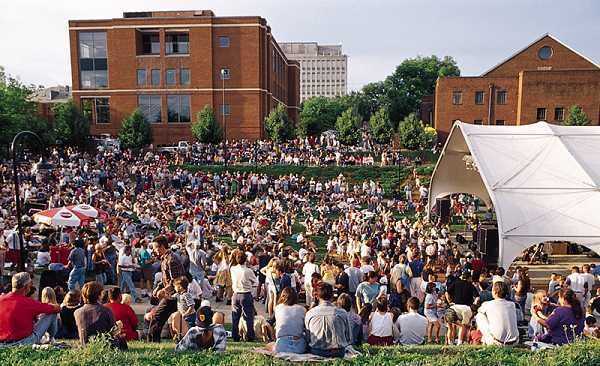 The Downtown Amphitheater is located at the east end of the Mall next to City Hall and the 9th Street Bridge and hosts many musical events every year, including Fridays After 5™ and the Dogwood Blues Festival. The Downtown Mall is located just a few blocks from Lee Park, Jackson Park, and Rothwell Park, and is within walking distance of the City, County and Federal courthouses. Many annual events take place on and around the Mall -- see the calendar.